May 12th, 2017 (10:00 AM). Edited March 14th, 2019 by Shogun. JUST TO SAY THAT ALL MY ROM HACK DATA WERE LOST IN FEBRUARY 2019 DUE TO MY LAPTOP (BROKEN). I'M WORKING ON FINDING A SOLUTION TO TAKE BACK ALL MY RH DATAS AND BE ABLE TO COMPLETE MY PROJECTS. I SHOULD BE ABLE TO BE BACK IN THE GAME IN MARCH ...ELSE IT WILL BE NEVER. I'm proud to present the next episode of the Cloud White Series*. 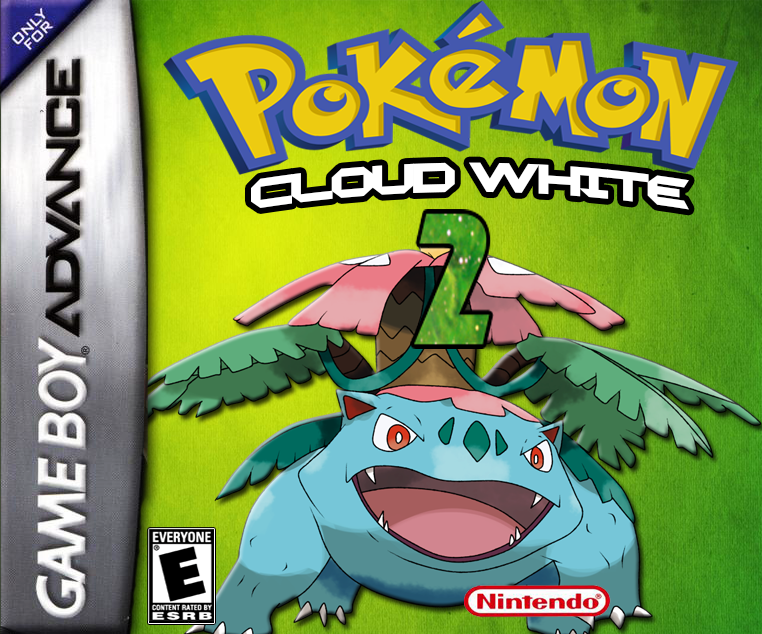 Pokémon Cloud White 2 ! 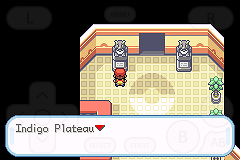 The scenario starts after the last event of Pokémon Cloud White. 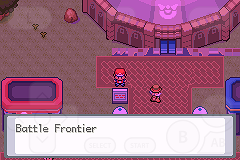 It is highly recommended to use VBA(PC) or GBA4IOS(ios) to prevent any errors of unknown freezes (it concerns female rocket grunt battles and some moves). Thanks to report if you encounter these errors on another emulator! There is no major bug. However, stay careful and save frequently. Thanks to report your errors. -Sethealingplace not edited yet : If you lose in battle, you have to reload your save. -The first Pokemon catched must be a gen 1, 2 or 3 Pokémon. 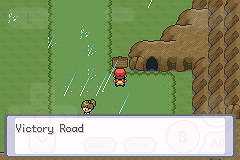 Is it neccessary to play Pokémon Cloud White to understand Cloud White 2's story? Main game is complete (21/09/2018). Extension is still in dev'. May 12th, 2017 (12:20 PM). 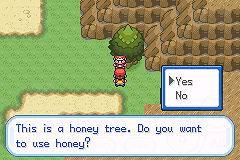 Is all of sinnoh avalible? May 12th, 2017 (12:34 PM). Edited May 12th, 2017 by Crimson5M. Oops! 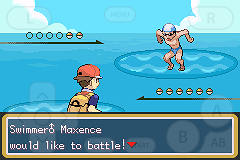 Lost the trainer battle against the youngster on Route 1! Argh! Stupid Quick Attack! Oh well I better go back and rema-oh dear. 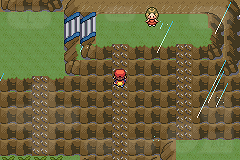 EDIT: Double battle on Route 2! Go! I choose you! My one and only Chimcha-oh dear. 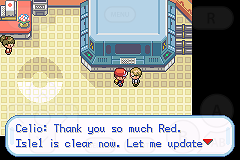 EDIT2: The first glitch happens even if you have healed at a Pokemon Center so basically if you die at any point of the game you have to return to your previous save. Fake news >:( it's been all glitches so far. May 12th, 2017 (10:57 PM). This game is in the "progressing hack" section because some features aren't finished yet. One of them is the ability to be teleported to a Pok�center after a defeat. May 12th, 2017 (11:01 PM). 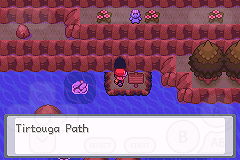 All sinnoh maps are in the game and some hidden place in sinnoh too. May 13th, 2017 (7:09 PM). May 13th, 2017 (10:58 PM). May 13th, 2017 (11:08 PM). The guy said he isn't a fan of the real Mega Evolving engine. May 14th, 2017 (6:24 AM). May 14th, 2017 (10:39 PM). 1) The guy who is supposed to give you a turtwig gives you a level 5 Kirilia. 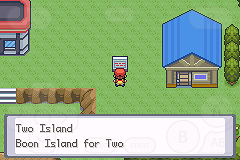 2) The girl who gives you a happing egg hatches into a turtwig. 3) It is possible to take all three starters of professor Oak. 4) none of the bikers on the cycling road can be seen and it is easy to access the cycling road even before your first badge. 1) Will you be Changingi the OW sprite of the main character as well as other characters? 2) Will you be adding sinnog music to this hack? 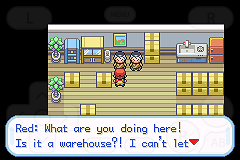 3) will you change the sprites of Pokémon to make them look like later gens? May 14th, 2017 (11:03 PM). 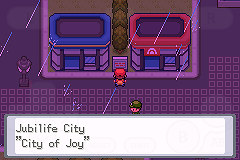 I forgot to mention, I'm stuck in Eternal city here your rival says that we have to beat all the team rocket grunts in the city but when I talk to them, none of them battle me. How do I progress from here? May 15th, 2017 (12:04 PM). 1) Do you plan to add new rivals like Lucas, Barry or Dawn? Or Paul from anime perhaps? 2) Do you plan to add dialogues referance to the first game? 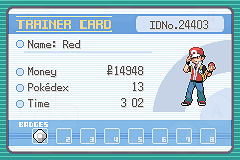 Maybe adding Prof. Rowan next to Oak on the beginning and Rowan can have a dialogue like "we are honored to see the Kanto champion in Sinnoh" etc. I don't know if there is any such dialogues but I think it would be nice to see something like this on the beginning of the game. May 16th, 2017 (10:02 PM). May 17th, 2017 (10:16 AM). 1) Diamond and Pearl are in the game. 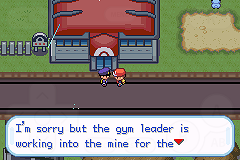 Ash, Leaf and Brock too. You'll be able to fight them several time during your progress and in the events that I'm going to add. INI for PGE. You can use these value and edit a g3hs ini to use them on g3hs. May 17th, 2017 (10:17 AM). May 21st, 2017 (2:48 AM). New Release (Version 145) + Game Guide updated. May 21st, 2017 (3:53 AM). 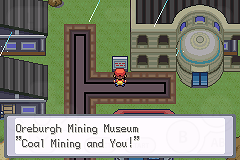 Is there a complete pokemon location list? May 21st, 2017 (5:49 AM). 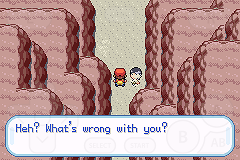 Not yet because gen 7 isn't available yet. May 21st, 2017 (2:25 PM). 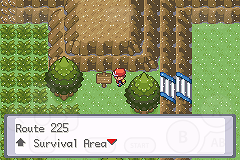 Is there a pokemon location list up to 5th or 6th gen. i just started the rom with the Lemonade bug finally being patched, but would like to find specific pokes(not too bothered about gen 7 locations atm). On a spreadsheet or anything, just so i know whats where. Also do you have an item location list? If not approx time till these are available? May 25th, 2017 (2:26 AM). New Release (Version 150) + Game Guide updated. May 28th, 2017 (1:36 AM). May 28th, 2017 (2:06 PM). Keep it up man, good work. May 29th, 2017 (9:15 AM). 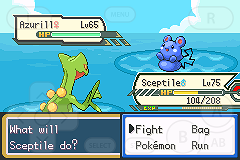 the game freezed when i catch shinx or lillipup on Route 1. if i catch spearow, it does not happen. May 29th, 2017 (9:25 AM). Thanks for your report, I'll update the Bug section of the min post. The error is a consequence of the Habitat that aren't edited yet. In other words, to fix the probelm, your first catched pokemon must be a gen 1, 2 or 3 Pkmn. Then you can catch all the Pok�mon you want. May 29th, 2017 (7:08 PM). Thank you very much. It's playable now. One more question. 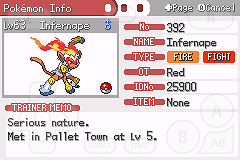 Do you have any plan to add gen 4-6 abilities to the game?